G.R.A.C.I.E. 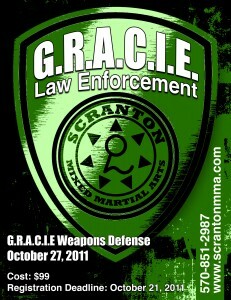 NEPA Law Enforcement: Weapons Defense Course is a one day course open to all law enforcement officers. The course is designed to prepare the officer for the very real event of an armed, non compliant suspect engaging the officer in hand to hand combat. 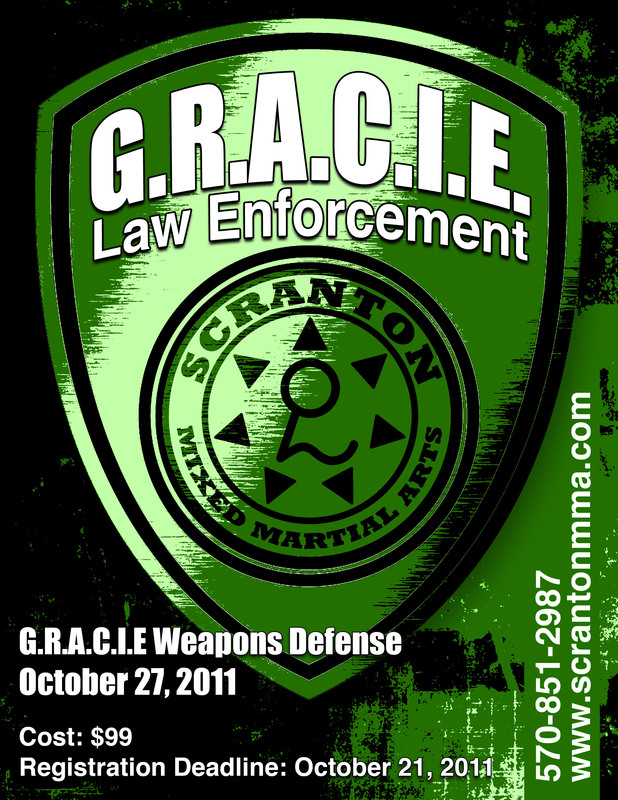 The course covers defense against knives, gun, clubs, and improvised weaponry. Registration for this event is now open!